Episode 67 Ready, Set, KAL! 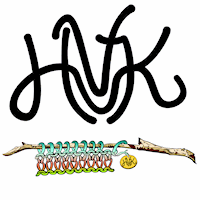 Welcome to Hudson Valley Knits, a podcast straight from the beautiful Hudson Valley of NY. I have some WIPS to show you and a few new stash enhancements. Stay tuned towards the end for information on the Awakening Cowl KAL and a new pattern and KAL that is raising money for a good cause. Lazy Days of Summer KAL by Iris Scheier using Merino Cloud and Silk and Sequins in a beautiful Teal colorway. If you are interested in joining this KAL, here is the Ravelry thread. Plain Vanilla Socks with Lollypop Yarns Independence Day self striping yarn. « Episode 66 Fair Isle Pattern Release!